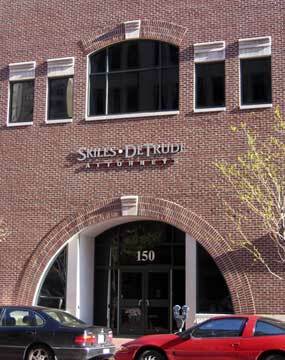 Skiles DeTrude is a full service litigation firm practicing in all federal and state courts throughout Indiana. Our lawyers average sixteen years in practice and each has extensive experience in a wide variety of litigation. The firm’s name comes from Richard R. Skiles, who founded the firm in 1984, and Howard J. DeTrude, our friend and mentor, who passed away in 2004. We strive to carry on Howards legacy of providing effective, professional, and aggressive representation of our clients.